New to Outlook in the Preview is a "Propose New Time" option, which lets meeting guests suggest a new event time, and organizers view those proposals and update meetings accordingly. Excel has a new Analysis ToolPak, as well as a new Solver feature. Solver is a previously Windows-only tool that can find an optimum value for a formula based on constraints imposed in other cells. The most additions have been made to Word, which now supports macro recording, searching for online document templates, and user information settings in preferences. When proofing, extra dictionary options allow excluding a dictionary or choosing a custom one. PowerPoint has gained just one significant tweak, which is better VoiceOver support. 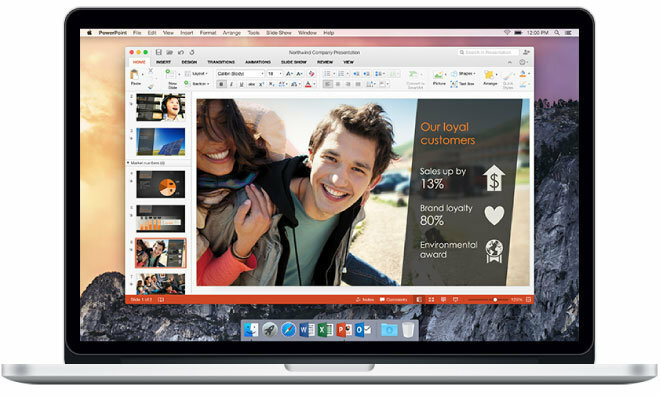 During the preview period, Office 2016 is a free download, even without an Office 365 subscription. Users can download the updates manually or through Microsoft's AutoUpdate tool. Office Delve provides a glimpse at what colleagues are working on —so long as those documents have been shared —and can also let users quickly jump into files they've been working on, or suggest relevant documents. 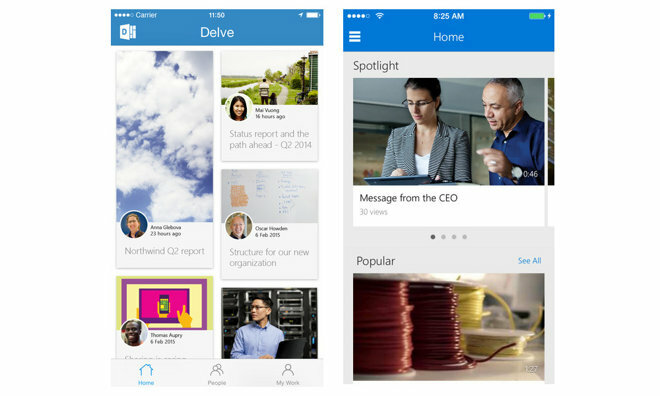 The app is a free download for iPhones running iOS 8, but intended only for organizations using both Office 365 and Delve. Office 365 Video is likewise organization-oriented, demanding an Office 365 Academic or Enterprise license. The app helps institutions propagate videos such as mission statements, training guides, or meeting recordings. Users can record and upload videos on their own however, as well as search for videos across different channels and see trending material. Users must have an iPhone with iOS 7.0 or later.